Located right by their south Edmonton Italian Market location, Massimo is named after the youngest of three generations of Spinellis. 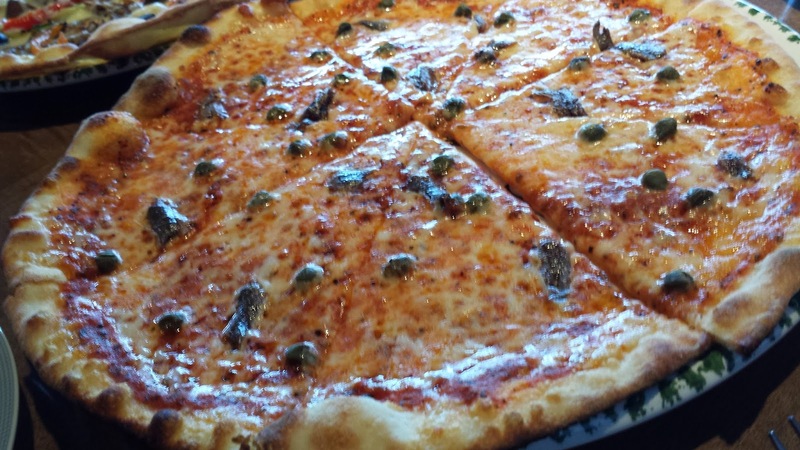 We were back for a quick lunch, and looking forward to their thin crust pizzas as we had loved the delicious flatbread from a yummy dinner review previously. Sadly, the service was a miss this time around, as both water, waiters, fresh bread service was utterly lacking at some tables. We ordered some random non-alcoholic drinks, and went straight for the pizza menu... well, that was what we were craving! 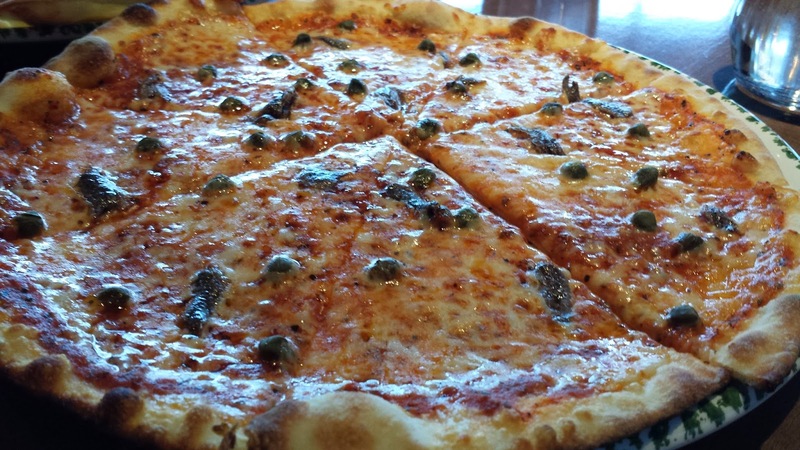 The Bella Napoli (Tomato sauce, mozzarella, capers and anchovies) was a salty savory delicious... nomnomnom! The crust was crisp, though quite soft as you went towards the centre, requiring two hands to nosh on this tasty pizza. The White Vegetariana (Mozzarella, marinated artichokes, zucchini, eggplant, mushrooms) also had some sweet bell peppers and olives tossed in too. This crust held up a bit better as it wasn't bogged down by sauce, and this made for a nice vegetarian pizza with lots of tangy, sweet and savory elements, though I would have liked to see more than 2 thin slices of caramelized of zucchini and one of the eggplant... nom! Simple yet well made Italian thin crust pizza. Hope the serving kinks get ironed out in time. Was too full after to indulge in their excellent tiramisu... next time!